Land Rover Colorado Springs has a GREAT lease deal going until 8/31/17 on the 2017 Land Rover Discovery Sport SE! You could lease for $348 a month for 36 months*. What a spectacular deal! If you would rather purchase this beautiful SUV, you could qualify for 1.9% APR for 60 months**. Either way, you will get great features such as the Climate Comfort Package, heated leather steering wheel, heated front and rear seats, and more! Imagine how amazing your daily commute can be in this beauty! Plus, you will have the power and performance to take on Colorado adventures. Stop into Land Rover Colorado Springs today to check it out! 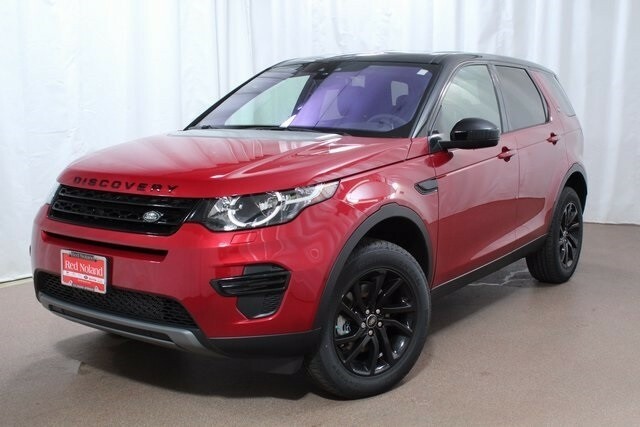 Take a test drive and let our Land Rover experts show you the impressive features you will enjoy on your 2017 Land Rover Discovery Sport SE. Then let our finance experts help you figure out the best option for you to drive this amazing vehicle home today!